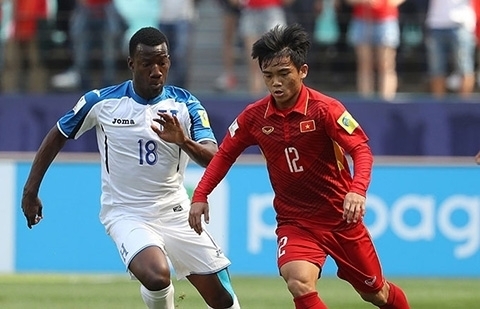 Vietnam had their FIFA U20 World Cup campaign ended on May 28 as they suffered a 0-2 loss to Honduras in the last Group E matchup, which placed them at bottom place in the group with just one point after three games. Vietnam started the match with high determination, targeting a big win against Honduras to continue fostering hopes to advance into the knockout round through the narrow gate – becoming one of the four best third-placed teams. The Southeast Asian team dominated possession in the opening minutes with a number of threats on the Honduras defensive line; however, Duc Chinh, Tien Linh and Thanh Binh were unable to take advantage of those opportunities to open the scoring. Honduras kept pace with the match in the latter stage of the first half and produced some noticeable counterattacks on the field, including a strike off post by Darixon Vuelto in a face-to-face encounter with goalkeeper Tien Dung. 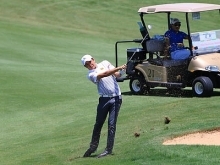 After the break, Vietnam’s weaker physical strength was fully exploited by the Central American team. The Southeast Asian squad’s defensive wall could only withstand until the 76th minute when Sendel Cruz broke the deadlock for Honduras with a simple shot from close range. With nothing to lose, Vietnam intensified attacks in the remainder of the game and came close to equalising the score following Quang Hai’s strike at post at the 85-minute mark. Jorge Alvarez put the match to bed in favor of Honduras by adding a second goal three minutes into injury time. With just one point after three games, Vietnam finished in bottom place in the Group E qualification and bid farewell to their FIFA U20 World Cup campaign. Meanwhile, France and Honduras advanced into the knockout stage as the group leaders and runners-up with nine and four points, respectively.